This month I mostly worked on looking for local Malaysian organisations to pursue volunteering partnerships with them. Together with Naz, we identified a few local organisations providing opportunities to international participants and we contacted them accordingly. After initial contact, we had Skype interviews with interested partners. Aside from that, I also worked on translating the K-POP Camp page from Japanese to English together with Lia and Dana. Also, I experienced my first Ramadhan away from home and it is surprisingly easy. 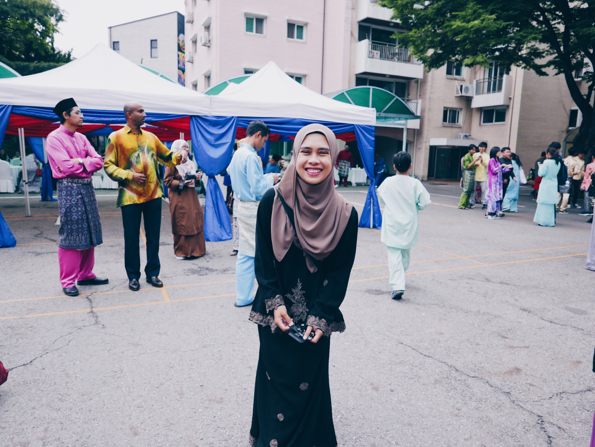 On 25th of June, I celebrated my first Eid-ul Fitr (or Hari Raya as we call it back in Malaysia) a celebration day that marks the end of the month of Ramadhan, here in Korea. I celebrated it with my friends, eating Malaysian food, and I also went to the embassy to celebrate it with other Malaysians. nc nec, hendrerit turpis. Quisque congue porttitor ullamcorper. Aenean eu justo sed elit dignissim aliquam. Vivamus sit amet semper lacus, in mollis libero. Suspendisse nec congue purus. Nulla eu pretium massa. Donec ac fringilla turpis. Maecenas non leo laoreet, condimentum lorem nec, vulputate massa.